Drag and drop on the folder. 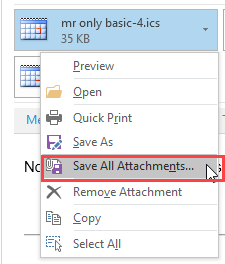 (In Outlook 2003, drop on the buttons at the bottom of the Navigation Pane.) This adds the message body to the note field of the new item. Right click, drag and drop to a folder. Use this method to control how the message is attached to the item – Copy as Text, as Shortcut, as Attachment or Move as Attachment. Select the item and choose Edit, Move (or Copy) to Folder… and select the folder from the folder picker dialog. This adds the message body in the Notes field. 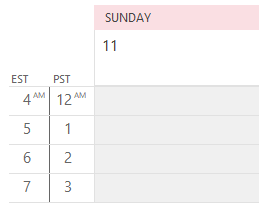 Fill in the remaining fields and set reminders, then Save. Published February 6, 2004. Last updated on May 16, 2011. 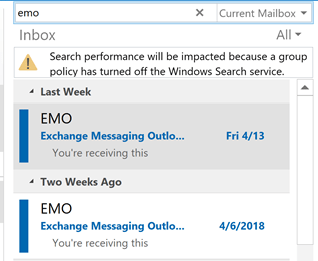 Is it possible for me to have two Outlook pst files available on one machine? I would like to be able to have the mail files from a previous computer (saved PST file) available occassionally to open, whereas 80% of my time is current mail files as my default. I'm picturing having the "work" pst file listed as a choice something like folders are in my usual Outlook frame on the left?? 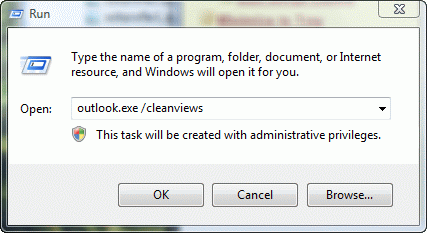 Yes, open the second one using File, Open, Outlook data file.